So here we are again, consuming something we think is supposed to be healthy for us and make us look and feel our best, and yet, it could be making us sick. Ugh. 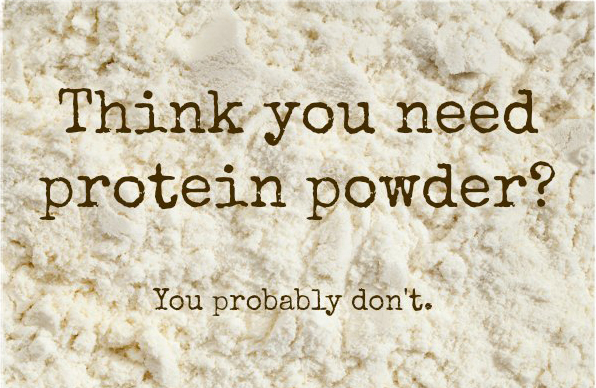 Protein powders are often filled with preservatives, genetically modified organisms (GMOs), allergens like dairy (whey protein isolate) and soy, and other synthetic toxins like aspartame, saccharin, and artificial flavors. Consumer Reports conducted an eye-opening study a few years ago, showing that several protein powders on the market contain dangerous levels of toxic heavy metals — specifically arsenic, cadmium and lead. Not good. The long of the short here is that there are way too many scary risks, which far supersede the promised health claims of protein powders. The good news is you don’t have to rely on these supplements, because you can get all the protein you need from eating real whole foods!